Conventional suture and staple methods are still being used in high-risk applications such as bowel surgeries, resulting in complications and even death. Current alternatives are limited by their chemical basis. 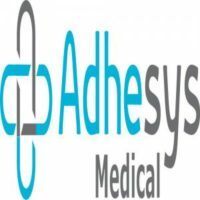 Adhesys Medical’s innovative polyurethane-based surgical glue utilizes a unique and innovative chemical formulation to form a hemostatic sealant that is fast-acting, absorbable, and non-toxic.It is the first such adhesive which is strong, flexible, fully-synthetic, completely biodegradable, and hydrophilic. All pre-clinical trials have demonstrated equal or superior performance compared to industry standards for use inside the body. Furthermore, Adhesys’s topical sealant functions capably in substituting topical sutures. Stitches and wound-closure are commonplace in hospitals, but innovation in the area of wound closure has been scant. Adhesys’s formulation is designed to save the hospital money by conserving surgery and reducing post-operative incidences of bleeding and leakage. Finally, the topical solution has the potential to lessen scarring. We are very excited to announce the great news that Adhesys Medical, our MedTech Innovator 2016 Execution Award Winner, has been acquired by The Grunenthal Group. Congratulations to Alex Schueller and the team at Adhesys! Adhesys Medical, a surgical adhesive company, said it has received a CE mark for its Mar-Cutis Flix topical skin adhesive for surgical use. The adhesive is a polyurethane-based technology the company said is an innovative alternative to traditional wound closing techniques that features bonding strength, fast sealing and high flexibility.